II. CRIME SCENE PHOTOGRAPHY IS TECHNICAL PHOTOGRAPHY. investigator familiar with the crime. correct f/stop. Set that f/stop on your lens. distance for the above f/stop. time by 25% for increased contrast. low and a variable speed of ISO 25 to 320.
will be a limited gray scale. F.   Small items, copying, etc. For the past 30 years Steven Staggs has been a forensic photography instructor and has trained more than 4,000 crime scene technicians and investigators for police and sheriff departments, district attorney offices, and federal agencies. He is also a guest speaker for investigator associations, appears as a crime scene investigation expert on Discovery Channel's Unsolved History, and provides consulting to law enforcement agencies. Steve has extensive experience in crime scene photography and identification. He has testified in superior court concerning his crime scene, evidence, and autopsy photography and has handled high profile cases including a nationally publicized serial homicide case. Steve is the author of the Crime Scene and Evidence Photographer's Guide, a field handbook for crime scene and evidence photography, which has sold over 40,000 copies and is in use by investigators in more than 2,500 law enforcement agencies. Steve retired in 2004 after 32 years in law enforcement, but continues to teach forensic photography and crime scene investigations at a university in Southern California. He is the President of Crime Scene Resources, Inc. and Webmaster of the Crime Scene Investigator Network, the world's most popular Crime Scene Investigation and Forensic Science website (www.crime-scene-investigator.net). Crime Scene and Evidence Photography, 2nd Edition © 2014 by Steven Staggs. Crime Scene and Evidence Photography, 2nd Edition is designed for those responsible for photography at the crime scene and in the laboratory. It may be used by law enforcement officers, investigators, crime scene technicians, and forensic scientists. 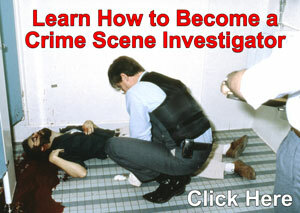 It contains instructions for photographing a variety of crime scenes and various types of evidence. It is a valuable reference tool when combined with training and experience. 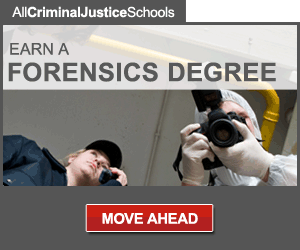 Crime Scene and Evidence Photography is also a helpful resource for students and others interested in entering into the field of crime scene investigation. 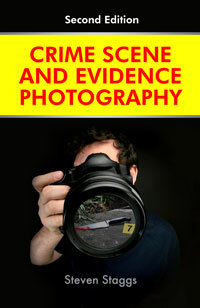 Crime Scene and Evidence Photography, 2nd Ed may be purchased from the publisher at a 20% discount. Copyright 2000–2018 Crime Scene Resources, Inc. All rights reserved. Inclusion of an article or a link on the pages of the Crime-Scene-Investigator.net in no way represents an endorsement or recommendation of any part of that article or link by Crime Scene Resources Inc., the Crime-Scene-Investigator.net, the site's webmaster, or the site's sponsors. Contributing authors of articles and those who maintain pages linked to this site assume total responsibility for the contents and accuracy of their articles and pages. While the information presented here is from reliable sources, there is no substitute for training or personal experience. Before utilizing any technique described here, be sure and check your local regulations and procedures. If you are in doubt as to which technique to use or how to apply it, contact an expert in the field in question.